Artists have a great reflection on society, and art is not always about entertainment, it is also about enlightenment. Hopefully with all the tragedies humankind encounters, we can learn. Cinematographer Jacek Laskus, ASC, PSC (right) confers with Director Jeremy Kagan during the production of SHOT. Visitors to the Radiant Images tent also will get a close-up look at its variety of custom camera stabilizers as well as some of the hottest gear and latest advancements in digital cinema, such as the Phantom Flex 4K, RED Dragon, Codex Vault 2 and other custom gear designed with the artistic interests of the cinematographer in mind. Read more. The powerful full-featured Phantom Flex 4K, now available at Radiant Images, is a high-speed digital cinema camera designed with the cinematographer in mind. Capable of shooting 1000 fps at full 4K resolution, the versatile Phantom Flex 4K also offers uncompressed RAW recording, a user-friendly camera control interface and spectacular high-definition image quality through a wide range of frame rates. Read more. RED’s groundbreaking new 6K Epic Dragon and lightweight Dragon Carbon Fiber cameras are now available for rental at Radiant Images, a leading LA-based rental house and digital cinema innovator. The RED Dragon offers filmmakers dynamic range once thought impossible for a digital sensor, capturing images that are true to life in color and crispness, even in the most challenging lighting conditions. Read more. Ovide Smart Assist packs the powerful QTake HD software with all the necessary hardware inside an all-in-one, full HD, 22” touch-screen monitor. No longer is there a need for a tower of separate components, monitors, converters and capture cards. The Ovide Smart Assist is a true game changer in digital cinema,” said Michael Mansouri, VP at Radiant Images. “It’s great to see that video-assist technology has finally caught up with camera technology, thanks to the incredible work by our friends at Ovide."... Read more. 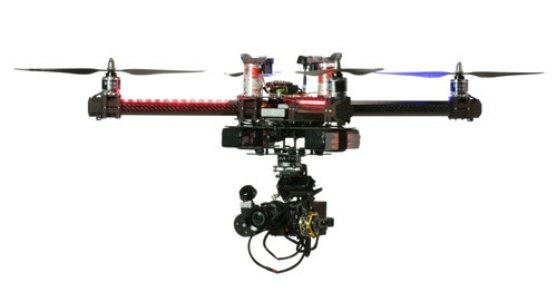 Two new gyro stabilized camera gimbals redefining the possibilities for camera movement in cinema – the FreeFly MōVI M10 and Novo Stabilized – are now available at Radiant Images. “The MōVI and the Novo Stabilized represent the future of digital cinema,” said Michael Mansouri, VP at Radiant Images. “Cinematographers now have the freedom to almost effortlessly create camera moves and execute shots that in the past would have been either impossible to obtain or too time consuming. It truly is a new frontier.” Read more. Event includes a special evening hands-on workshop, hosted by P+S Technik, featuring the innovative Novo and the PS-Cam X35. 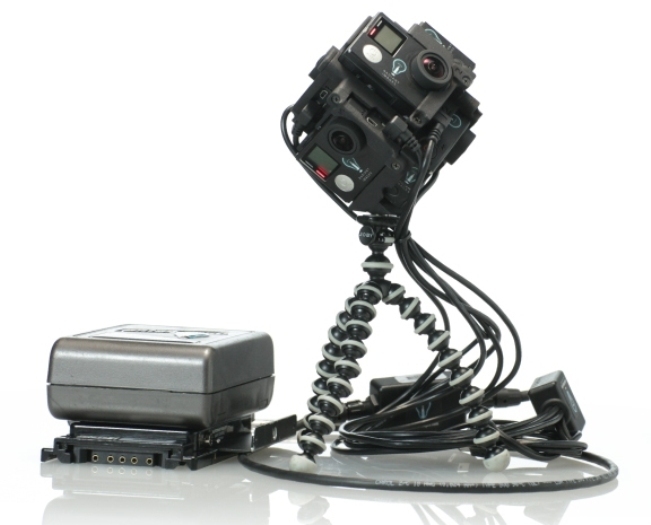 Radiant Images, an LA-based rental house and digital cinema innovator, will show its groundbreaking Novo action camera and stabilized handheld, known as a brushless gimbal, at IBC 2013 in Amsterdam on Sept. 13-17. The design team at Radiant Images has created a lightweight stabilized handheld specifically for its Novo digital cinema camera, giving professional filmmakers a powerful and easy-to-use new tool with the tiny action camera. The high-performance, 3 axis stabilizer, known as a brushless gimbal, offers 360 degrees of continuous rotation using magnetic fields. The high-torque servo drive, designed with reduction of vibration in mind, is capable of the highest precision possible. 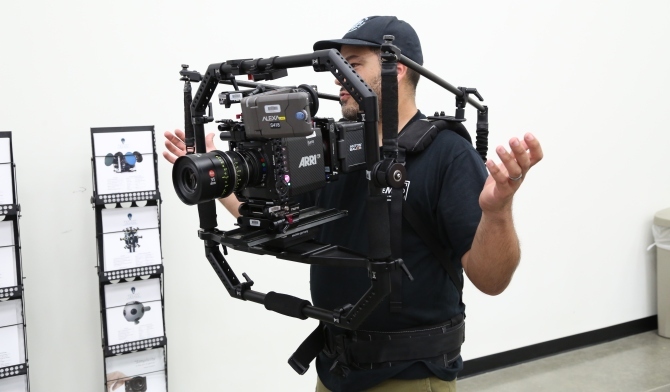 “Our gimbal is revolutionary because it’s so small and so precise and made specifically for the camera,” said Michael Mansouri, VP of Radiant Images. A fully-outfitted Novo gimbal also weighs in at a mere four pounds, complete with the camera, lens, wireless video and batteries. Radiant Images has created a powerful new tool for filmmakers by conducting comprehensive testing of all available digital cinema production cameras. 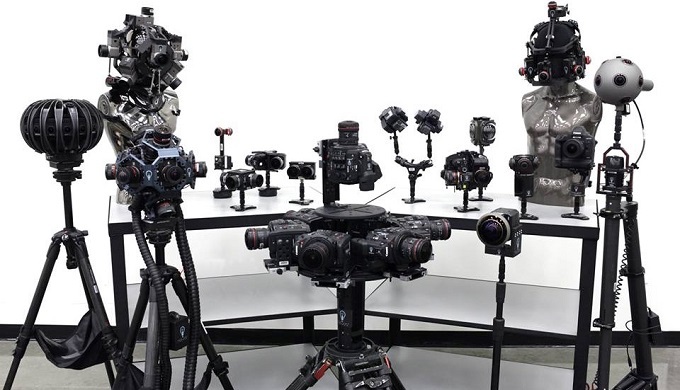 The wide-ranging, non-biased tests covering categories such as dynamic range and color rendition enable cinematographers to evaluate and choose cameras and lenses based on visual comparisons rather than technical specifications. Radiant Images, the first rental house to perform such comprehensive evaluations, has created demo reel of the testing. The production team from J.J. Abrams' Bad Robot Productions has chosen Radiant Images to provide all cameras, gear and support for Season 2 of NBC’s acclaimed post-apocalyptic drama Revolution, which is now shooting in Austin. Radiant is supporting the production with the ARRI Alexa as well as its new palm-sized Novo digital action camera. Revolution is due back on the air in late September. 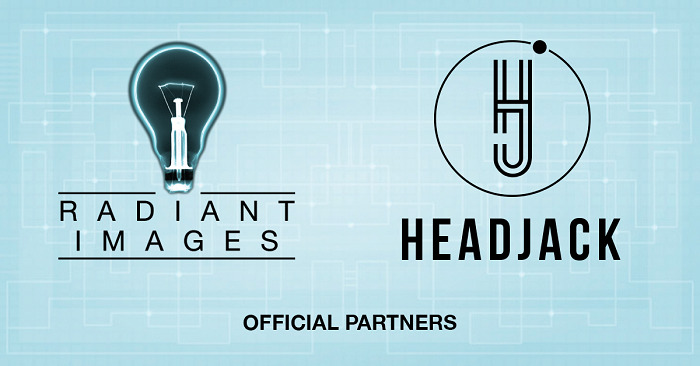 Radiant Images will introduce the Radiant Novo Challenge to budding filmmakers this week at the world-renowned ShortFest 2013, set for June 18-24 in Palm Springs. “We created the Radiant Novo Challenge as a way to show our support for up-and-coming filmmakers and help them achieve their vision, just as we already do for the many veteran filmmakers who rely on us for custom gear and expertise,” said Michael Mansouri, co-founder of Radiant Images. As is tradition, the Radiant Images' booth at the Cine Gear Expo will be filled with innovation and a few surprises this year. The theme for 2013? Simplicity and ease of use. Please stop by Booth #S309 this weekend for a closer look. 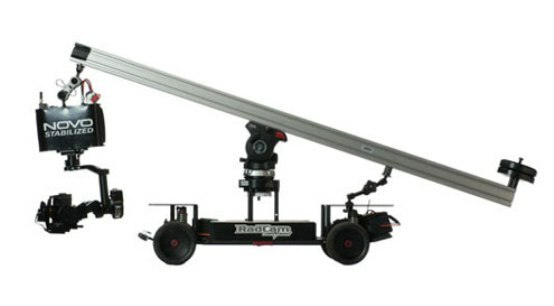 In addition to displaying a wide array of the latest digital cinema gear and accessories, Radiant Images will showcase customized cranes - the Mini Technocrane and the Super Techno - at the annual J.L. Fisher event on Saturday. Stop by to say hello and get a closer look at our creations. The new Novo digital cinema camera, co-created by Radiant Images to remove the cinematic limitations of the GoPro Hero3 for professional filmmakers, is the recipient of a coveted Mario Award for innovation and technical excellence. 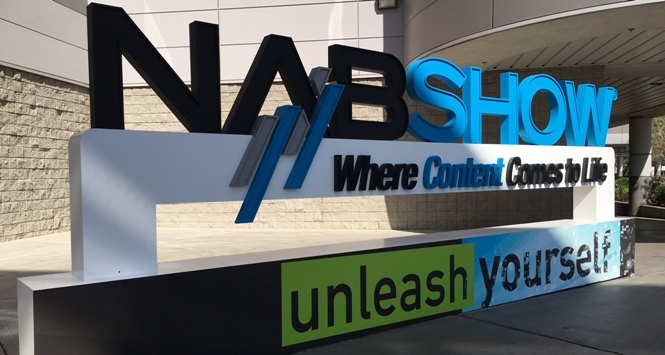 Radiant Images will showcase its new Novo digital cinema camera at NAB Show in Las Vegas starting Monday, April 8 through Thursday April 11. Attendees can try out the Novo and learn more about its capabilities at the P+S Technik Booth C8240. The Novo provides cinematographers with the power and versatility of the GoPro3: Black Edition but without the cinematic limitations. Stop by Booth C8240 for a closer look! A custom 3D rig created by Radiant Images with twin Sony F65s and a modified CC3D Gen-2 rig played a starring role in an IMAX 3D documentary about the Panama Canel that was shot recently in Central America. 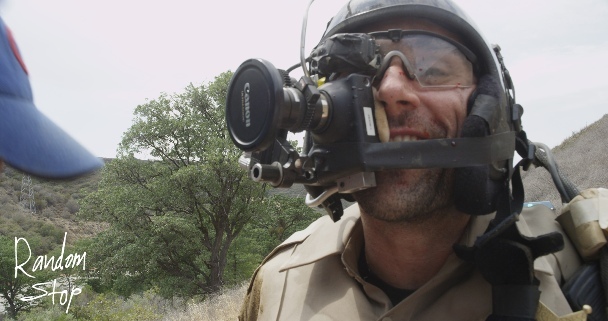 Cinematographer Reed Smoot, ASC, was able to utilize the rig in a variety of ways, from mounting on platforms in trees and on zip lines to using with Steadicam, cranes and remote control stabilized heads. Despite using two full-sized production cameras, techs at Radiant Images were able to create a 3D rig that was balanced and light enough to be efficient and versatile in helping Smoot achieve his vision. Radiant Images is supporting Season 2 of House of Lies by providing gear and support to help Cinematographer Peter Levy, ASC, achieve the fresh, polished look of the Showtime TV comedy. Techs and rental agents worked closely with Levy in pre-production to identify the equipment best suited to give him the flexibility and performance he needed. The new Novo digital cinema camera, created by View Factor Studios in collaboration with Radiant Images, provides filmmakers with the power and versatility of the GoPro3: Black Edition but without the cinematic limitations. Key features include C-mount lens system with back focus adjustment plus exposure capabilities, while maintaining all key GoPro functionality. Stop in to Radiant Images for a closer look! The Hero3: Black Edition is the most advanced GoPro ever – 30 percent smaller, 25 percent lighter, Wi-Fi enabled and two times as powerful as previous models. And at Radiant Images, technicians have ramped up the camera's viability for cinematic uses. Radiant Images has added the newest addition to the ARRI ALEXA line up! This new ALEXA model has similar functionality to the ALEXA Plus but features a 4:3 Super 35 sensor, the ability to switch from 16:9 sensor mode to 4:3 sensor mode, and built-in licenses for high speed shooting, DNxHD recording and anamorphic de-squeeze. Radiant Images is supporting the highly-anticipated second season of Magic City and Cinematographer Gabriel Beristain by providing the vintage Super Baltar lenses that help him give the Starz TV drama its distinctive cinematic look. Shooting is ongoing in Miami with the show scheduled to be back on the air in 2013. When End of Watch opens in theaters on Friday, audiences are going to see for themselves what the critics have been raving about: a raw, pulse-pounding, heartfelt drama providing a glimpse into the lives of two cops on the beat in South Central LA. Radiant Images’ reputation as the rental house of choice for filmmakers shooting in tight spaces or on the fly has grown exponentially with the arrival of the versatile ARRI Alexa M camera. The folks from Band Pro Film & Digital were at Radiant Images last week prepping twin Sony F65s on a CC3D rig with Ultra Prime lenses for an IMAX film shooting in Jerusalem...IMAX needs a large sensor, so the F65’s 8K sensor outputting a 4K image is perfect. So where do you turn if you’re a skilled cinematographer and you’re shooting a Sprint commercial and you need a series of POV shots from a dog’s perspective? If you’re Dave Perkal (Vampire Diaries, Scrubs, Chuck), you turn to Radiant Images and its exclusive pocket-sized, cinema-quality POV camera – the SI-2K Nano. The new Gemini 4:4:4 ARRIRAW recorder is considered the industry’s smallest, lightest weight and highest quality uncompressed video recorder. But the best part? The Gemini system allows filmmakers to create the ultimate in HD and now ARRIRAW at a fraction and size of other ARRIRAW recorders. LOS ANGELES (May 31, 2012) – Syrous D. Nabatian, an experienced rental manager and digital camera technology expert, has been named General Manager at Radiant Images, the company announced Thursday. Radiant Images has built a reputation among DPs and camera operators as a go-to shop for the latest innovations and problem solving. 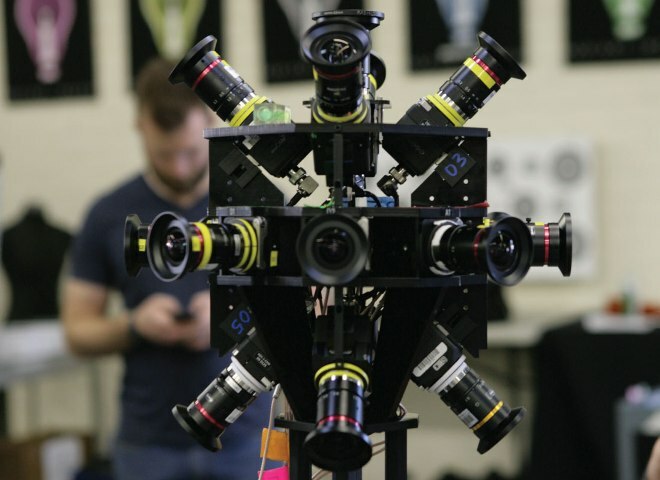 Co-founder Michael Mansouri and his team are known to stretch the boundaries of digital cinema with creative solutions - specializing in designing and building custom 2D and 3D rigs as well as modifying cameras and gear. On a scale of 1-10 for added versatility, Radiant Images' customized GoPro HD Hero basically scores an 11. The creative engineers at Radiant Images are off the charts again - this time with a custom lens mount and heavy-duty aluminum case for the GoPro that elevates the popular POV camera to new cinematic heights. 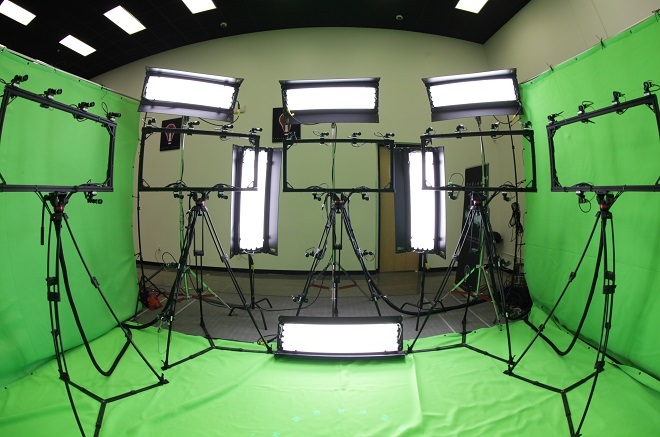 The latest 3D filmmaking technology and equipment will be the focus of a free post-NAB workshop presented by leading 3D equipment manufacturer STEREOTEC on two dates – April 21 and April 23 – at Radiant Images in Los Angeles. 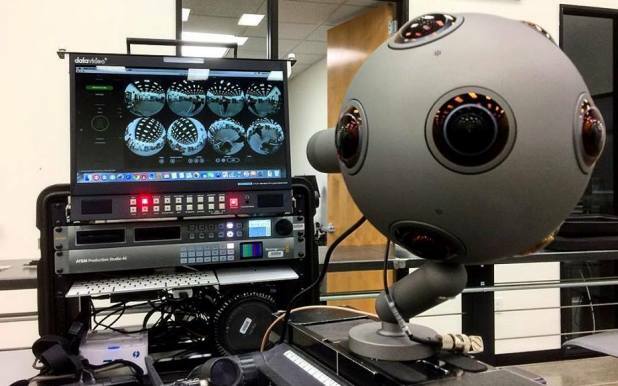 The latest 3D technology will be on display at Radiant Images in Los Angeles on Friday (April 13) at a information-packed, pre-NAB workshop presented by Camadeus Film Technologies. The free event – open to the public – gets underway at 10 a.m. and is expected to end at noon. Radiant Images is located at 4125 W. Jefferson Blvd. 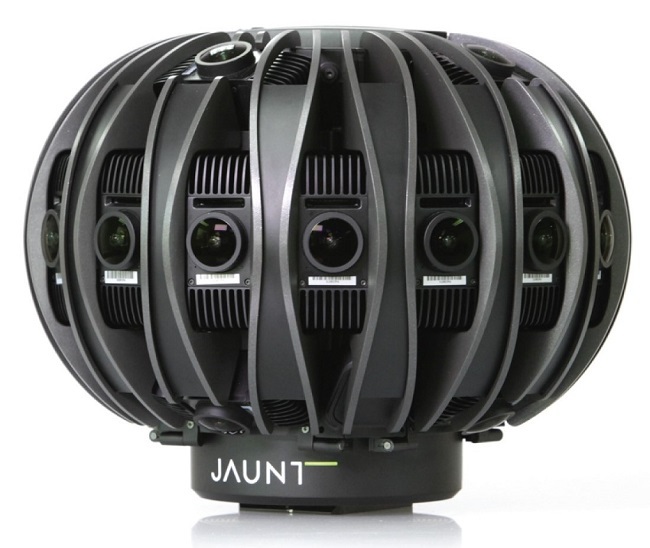 Just about everything connected with the Red Hot Chili Peppers’ new interactive music video for “Look Around” is cool – including the 360-degree quad camera rig designed by Radiant Images for the production. The rig allowed skilled DP Alejandro Lalinde to shoot band members in adjoining rooms and create the head spinning 360-degree motion affect. The video is directed by well-known Director Robert Hales. Radiant Images, a leading L.A.-based rental house and digital cinema innovator, will showcase a new pocket-sized cinema-quality POV camera and other 3D solutions at the 3D Entertainment Summit in Hollywood on Sept. 20-22. Radiant Images, a leading L.A.-based rental house and digital cinema innovator, played an important role in the new 3D action-adventure film, Journey 2: The Mysterious Island, which opened in theaters across the U.S. over the weekend. 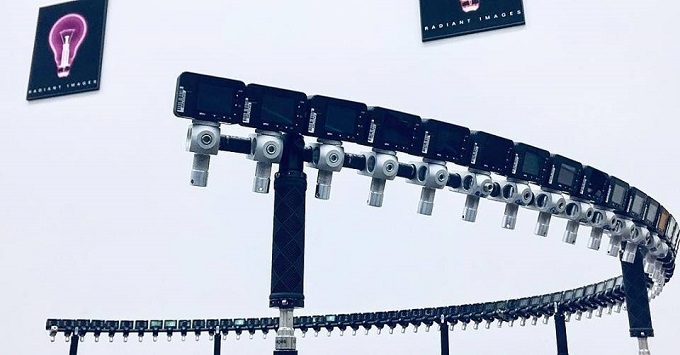 Radiant Images, a leading L.A.-based rental house and digital cinema innovator, has teamed up with German firm Steroscopic Technologies GmbH (STEROTEC) to make the state-of-the-art motorized STEROTEC 3D Mid Size Rig available for rental to the L.A. production community for the first time, the company announced Wednesday. Miri Jedeikin at Electric Playground just posted this video about Radiant Images, featuring Nick Lantz discussing digital cinema and our growing reputation for solution-oriented custom 3D and 2D rigs, POV and camera modifications. 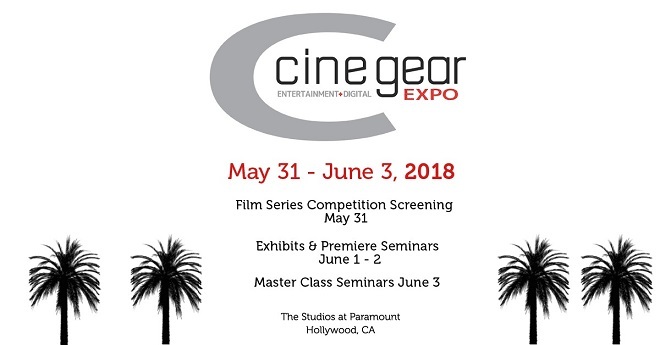 Michael Mansouri of Radiant Images, a leading L.A.-based rental house and digital cinema innovator, will discuss 3D production on a panel with other industry leaders at a 3D Symposium at the Cine Gear Expo on Friday, June 3. Radiant Images built 3D rigs for a 3D biopic about former NFL great Joe Namath, which will be directed by James Franco and shot in 2012. Here are some still images from a test shoot at Hollywood High School with a local semi-pro team. We tested three rigs – a Stereotec with RED Epic Ms, and the P+S Technik Freestyle with SI-2Ks on a Steadicam (with a Segway) and with a jib arm. 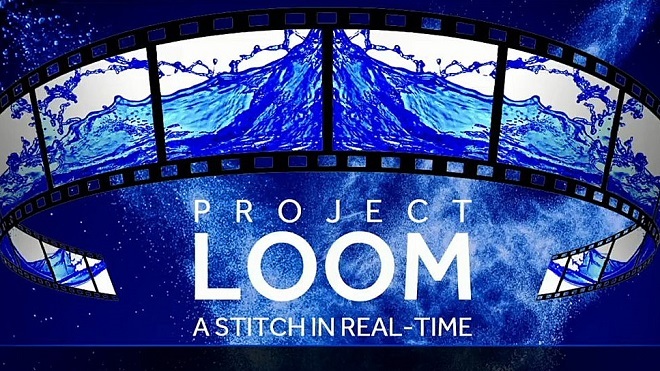 Simple, versatile and reduced production time – what more would you want? HD Camera Rentals, a leading L.A.-based rental house, has added ARRI's Ultra 16 lenses to its growing inventory of sought-after, cutting edge cameras and accessories for the film-making industry. HD Camera Rentals, a leading L.A.-based rental house and digital cinema innovator, has changed its name to Radiant Images, the company announced Wednesday. 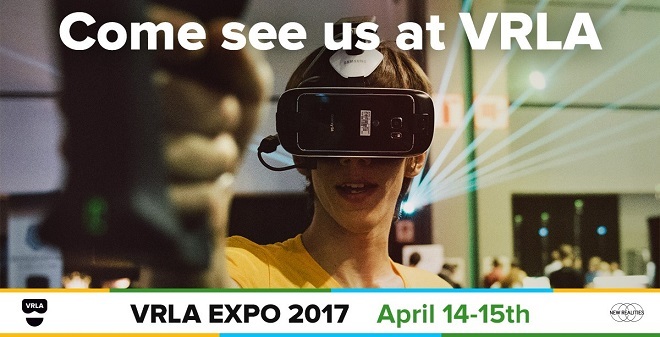 Technicians from HD Camera Rentals/Radiant Images, a leading L.A.-based rental house and digital cinema innovator, will share expertise, custom gear and the latest in camera and 3D at the annual J.L. Fisher event on Saturday, May 15, in Burbank, CA. 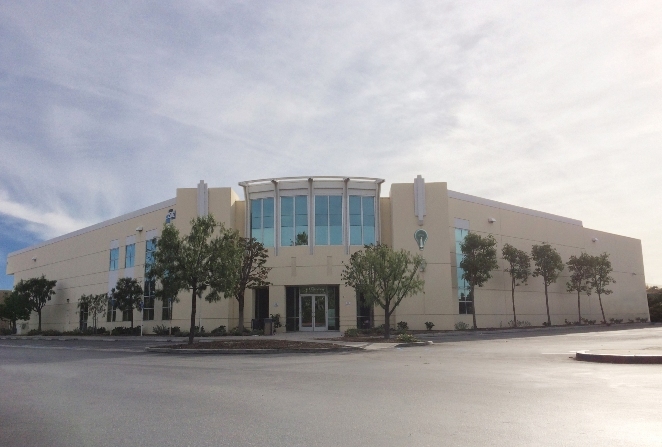 HD Camera Rentals, a leading L.A.-based rental house, has expanded its West Jefferson Boulevard facility and enhanced services to meet a growing demand for digital cinema, 3D technology and custom-built rigs, the company announced Thursday. 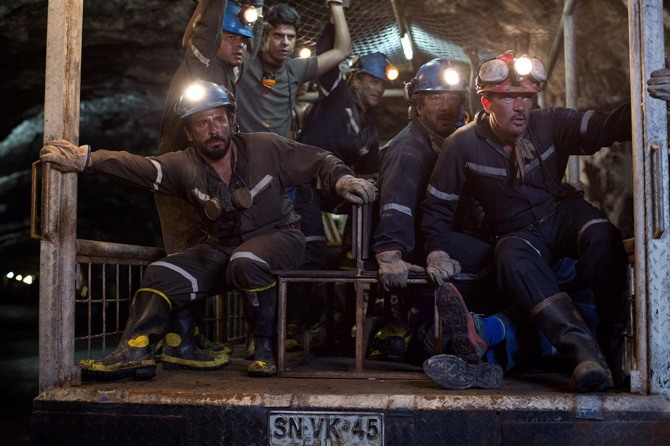 While preparing to shoot 127 Hours, acclaimed director Danny Boyle and cinematographers Anthony Dod mantle and Enqique Chediak discovered what a growing number of digital filmmakers already know: If you want to get the impossible show, get Michael Mansouri. Academy Award-winning cinematographer Anthony Dod Mantle used custom equipment, accessories, leading-edge camera and expertise provided by HD Camera Rentals for the filming of the upcoming movie, 127 Hours. 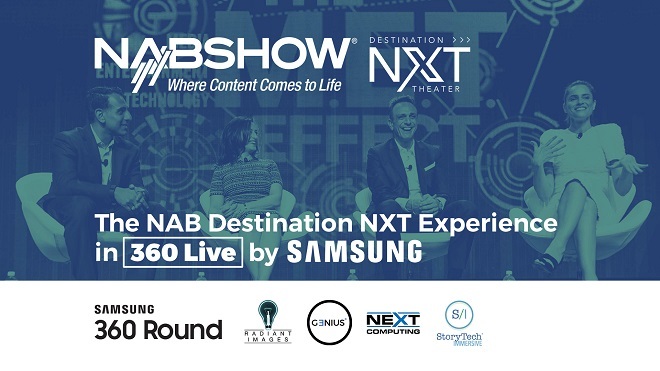 Technicians from HD Camera Rentals, a leading L.A.-based rental house, will share their knowledge and expertise about digital cinema at the annual J.L. Fisher event on Saturday, May 15, in Burbank, CA.